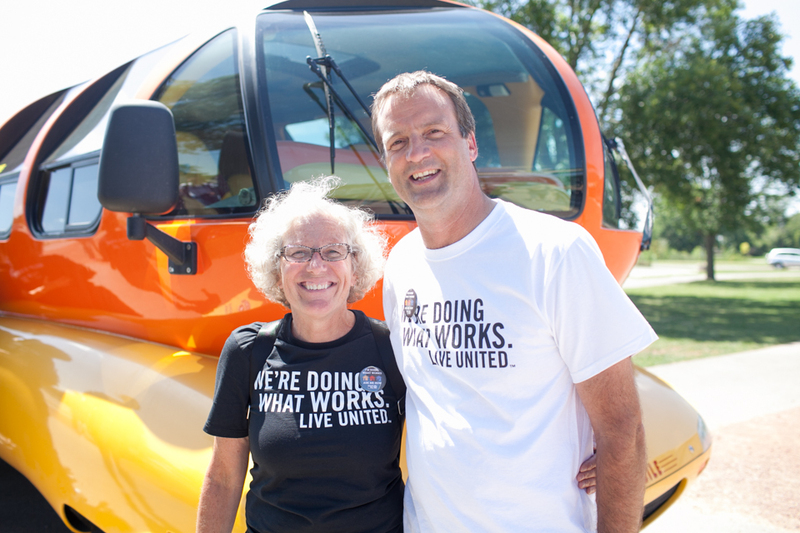 United Way of Dane County CEO Leslie Ann Howard and TASC CEO Dan Rashke. On August 14th, I had the pleasure of attending the annual Days of Caring Celebration hosted by United Way of Dane County. It is always an honor to work in support of this wonderful organization, and I was happy to fill in for Campaign Chair Jack Salzwedel of American Family Insurance. This year, the United Way of Dane County has established an aggressive campaign goal… At $19,000,000, this goal is definitely optimistic. It’s also vital that we get there. After all, last year 946 children slept in Dane County shelters. And last year, the United Way helped stabilized 2,200 families through their Housing First Program. Eighty percent of those families were able to maintain their housing. This makes United Way’s Housing First Program two times more effective than an emergency shelter, at half the cost. I recently learned about a local success story. A young mother Takisha and her daughter Ayanna knew all too well what it was like not to know where they would sleep at night. Where would homework get done? What could Takisha write on a job application as her address? That was then. These days, thanks to Housing First, they now have a place to call home. Takisha is employed in helping other families find stable housing, and she’s planning to get a master’s degree in social work! And, Takisha’s success has inspired Ayanna to aim for college as well. How many others like Takisha and Ayanna are in your community? When we work together we make stories like these become a reality for hundreds of families. Here are three easy ways to lead by example and inspire more people to get involved. Give! And ask your friends to give. Volunteer! Get out in the community and make a direct impact! Tell people how your giving and volunteering is making a difference! Through the United Way we can make a difference every day! For those of you who participate in your local United Way, I thank you for volunteering. Thank you for giving. And thank you for getting others involved.